When wanting to learn more about the natural area and wildlife of the Monterey area, the aquarium is an excellent place to start. 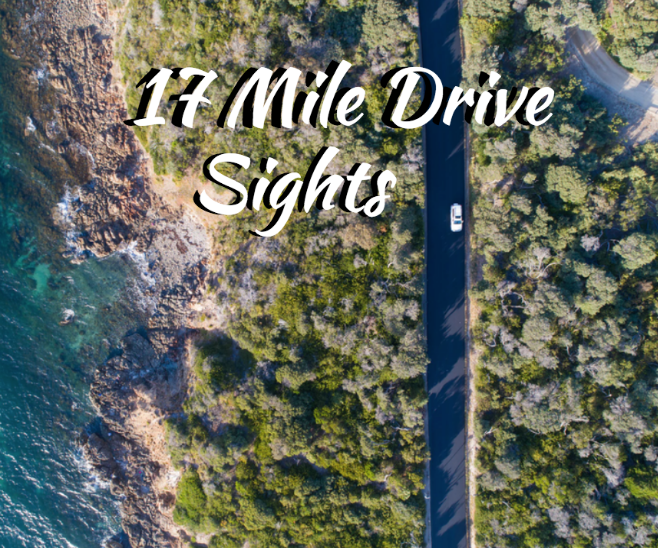 If you want to get outdoors and see the area in action, the Monterey 17 mile drive is an excellent place to start. The drive lets you explore breathtaking views of the Monterey areas from seaside beaches to forest canopies. Along the way, you can stop at a variety of spots. Here are just some of the places you can visit along the drive. The Huckleberry Hill Nature Preserve is a beautiful way to offset the the dramatic views from the coastline. At this nature preserve, immerse yourself in a beautiful wooded area that offers peaks of the ocean at various points. The preserve offers a looped hike from the nearby Veterans Park campground, which is about 1.5 miles. While the loop is short, it is steep at points so get ready to get your heart rate up! Don’t worry, you’ll be rewarded with breathtaking views of the Pacific and the bay. For a tranquil stroll at sunset, head to Lovers Point Park. There’s lots of rocks to climb along the shore offering great views of the ocean. There are also a number of picnic tables in the area so you can stop for lunch have dinner as you enjoy the sunset. The area also has clear blue water, which is a sight to behold. The area is dog friendly so expect locals going on walks with their dogs at any given time. Spanish Bay Beach features a wide sandy area that is backed by sand dunes and a golf course. Enjoy walking along the wooden boardwalk or walk barefooted along the coast. Thanks to the strong rip currents, local surfers enjoy coming here, so you can sit down and watch them catch some waves. Seal Rock is a beautiful location to stop during your 17 Mile Drive. The area also white sand and a picnic table close to shore. Just a little way offshore is the large piece of land known as Seal Rock. It’s often covered with seals laying out and enjoying the sun. Behind the beach is a pull through parking lot so feel free to stop here during your drive for a bite to eat and enjoy the views.